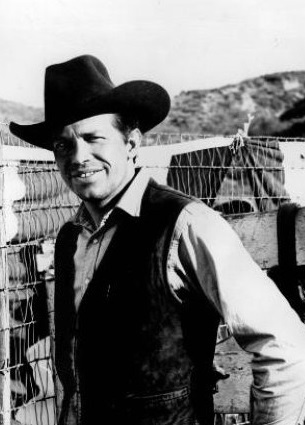 American actor best remembered for roles in films such as In the Heat of the Night, The Wild Bunch, Bring Me The Head of Alfredo Garcia, Two Lane Blacktop, Race with the Devil, Ride the High Country, The Shooting, Dillinger, Stripes and Badlands. He said in 1974 ""I'm six foot one in my cowboy boots". Seems a fair estimate, actor L.Q Jones - who has given his own height as 6 feet - usually looked slightly taller when he co-starred with Oates in the likes of Major Dundee and Ride the High Country. A great actor! Terrific actor, Heat of the Night, Dillinger, Badlands to name just three, but I do not see him above 5'10 even at peak, 5'11 in well-heeled footwear I can buy. We lost him too young. He was exactly 5'11". I'm surprised he was only 53 when he died from emphysema. I lived next door to Warren Oats in 60’s on the corner of Woodcliff and kingwoods lane in Sherman Oaks. From personal experience I would say that Warren was about 5’10. Also met Jack Lord at Warren’s house when Warren was filming Stoney Burk, Lord wasn’t a real tall person, appeared to be around 6’0. In a great documentary about him, Ned Beaty describes Oates as 'small' and indeed he looks very comparable to Yul Bryner in the Return of the Magnificent Seven clip. A line up walk ing photo of the cast seems to confirm that Oates was an inch two below his listing here. Dwarfed by 6'1''Claude Atkins in the in line walk shot of the RotMS and even more so in a very similar walk in the Wild Bunch by 6'2''Ben Johnson. Warren Oates was barely average height, at most, but a small frame made him look rangy and kinda tall.. I think he was a guy who could come off as one the short side but then you'll see him with others and he could come off as taller than average. Here's a book on him by Susan Compo that says "He was about five feet, eleven inches". Standing behind Ramis & Murray which subtracts height but its hard to see Oates over 5'11" at this older stage since he clearly seems to be looking up at the two brilliant comedians. Rob, could you add to his credits Ride the High Country, The Shooting Dillinger and Stripes? Yes! Good listing. I'm always amazed you find these quotes, Rob. Yeah, he did look around this range. What an presence he was, as the same character, he could be hard as nails tough in one scene and a bumbling, even pathetic clown the next. I love Oates' quote "I feel most uncomfortable in a western role, because my image of the western man is John Wayne and I'm just a little s**t."
Very good actor. I don´t see him over 1`79 though. Thanks Rob! I didn't think there much chance you'd add him, although you've probably seen the first two on the list. Bring me the Head is worth a watch. Seems a good shout, he could look anything from 5'11-6 ft. He was in some really cool films. You might also want to mention 1941, far from Spielberg's best, but he did get a BAFTA nom for his role in it.